Dementia causes the gradual deterioration of mental functioning that affects memory, mood, thinking, concentration, and judgment. These changes often affect a person’s ability to perform normal daily activities. Dementia is a an illness that usually occurs slowly over time, and includes a progressive state of deterioration in the brain. Dementia effects memory, language and thinking. Common problems include confusion, and changes in the way a person behaves and communicates. Cognitive symptoms of dementia can include poor problem solving, difficulty learning new skills, and impaired decision making. Behavior changes can include fear, insecurity, anger, and often, depression like symptoms. Dementia is caused by various diseases and conditions that result in damaged brain cells. 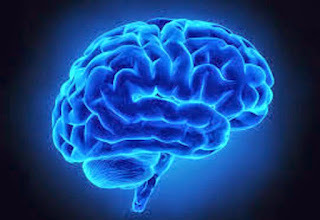 Brain cells can be destroyed by brain diseases, such as Alzheimer’s disease, or strokes (called vascular or multi-infarct dementia), which decrease blood flow to the brain. The decline in cognitive abilities must be severe enough to interfere with daily life. Different types of dementia are associated with distinct symptom patterns and distinguishing microscopic brain abnormalities. Alzheimer's is a type of dementia that typically causes problems with memory, thinking, judgement and behavior. Alzheimer’s Disease is the most common type of dementia; accounts for 60 to 80 percent of cases. Over time, a person with Alzheimer's disease has trouble thinking, remembering, speaking, learning, making judgments, and planning. People living with Alzheimer's are often moody, restless, and sometimes mean. Alzheimer's disease affects almost all aspects of brain functioning, including personality, and the ability to perform the most basic activities of daily functioning. Dementia with Lewy Body is an umbrella term for two related diagnoses. LBD refers to both Parkinson’s disease dementia and dementia with Lewy bodies. The earliest symptoms of these two diseases differ, but reflect the same underlying biological changes in the brain. Over time, people with both diagnoses will develop very similar cognitive, physical, sleep, and behavioral symptoms. Alertness and severity of cognitive symptoms may fluctuate daily. Visual hallucinations, muscle rigidity and tremors are common. Frontotemporal Dementia is an umbrella term for a group of uncommon disorders that primarily affect the frontal and temporal lobes of the brain — the areas generally associated with personality, behavior and language. Apathy or an unwillingness to talk. Changes in personality and mood, such as depression. Lack of inhibition or lack of social tact. Obsessive or repetitive behavior, such as compulsively shaving or collecting items. Vascular Dementia is considered to be the second-most-common type of dementia. occurs when vessels that supply blood to the brain become blocked or narrowed. Strokes take place when the supply of blood carrying oxygen to the brain is suddenly cut off. However, not all people with stroke will develop vascular dementia. memory loss and difficulty concentrating. difficulty finding the right words. severe personality changes, such as becoming aggressive. Symptoms often overlap with those of Alzheimer’s, although memory may not be as seriously affected. Normal pressure hydrocephalus (NPH) is an abnormal buildup of cerebrospinal fluid (CSF) in the brain's ventricles, or cavities. It occurs if the normal flow of CSF throughout the brain and spinal cord is blocked in some way. This causes the ventricles to enlarge, putting pressure on the brain. and, inability to control the bowels. The typical dementia symptoms of NPH can be similar to those of Alzheimer's disease. The walking problems are similar to those of Parkinson's disease. NPH can sometimes be corrected with surgical installation of a shunt in the brain to drain excess fluid. Mild cognitive impairment is an intermediate stage between the expected cognitive decline of normal aging and the more-serious decline of dementia. It can involve problems with memory, language, thinking and judgment that are greater than normal age-related changes. This is a condition in which a person has problems with memory, language or another essential cognitive function that are severe enough to be noticeable to others and show up on tests, but not severe enough to interfere with daily life. Some people with mild cognitive impairment go on to develop dementia. For others, the symptoms of mild cognitive impairment do not progress to dementia, and some people who have mild cognitive impairment at one point in time later revert to normal cognitive status. Parkinson's disease is a progressive nervous system disorder that affects how a person moves, including how they speak and write. Symptoms develop gradually, and may start off with ever-so-slight tremors in one hand. People with Parkinson's disease also experience stiffness and find they cannot carry out movements as rapidly as before - this is called bradykinesia. The muscles of a person with Parkinson's become weaker and the individual may assume an unusual posture. Creutzfeldt-Jakob disease (CJD) is a rare, degenerative, invariably fatal brain disorder. “Variant Creutzfeldt-Jakob disease” is believed to be caused by consumption of products from cattle affected by “mad cow disease” - contaminated beef. In sporadic CJD, the disease appears even though the person has no known risk factors for the disease. This is by far the most common type of CJD and accounts for at least 85 percent of cases. In hereditary CJD, the person has a family history of the disease and/or tests positive for a genetic mutation associated with CJD. About 5 to 10 percent of cases of CJD in the United States are hereditary. In acquired CJD, the disease is transmitted by exposure to brain or nervous system tissue, usually through certain medical procedures. There is no evidence that CJD is contagious through casual contact with a CJD patient. Since CJD was first described in 1920, fewer than 1 percent of cases have been acquired CJD. Mixed dementia is characterized by the presence of the hallmark abnormalities of Alzheimer’s and another type of dementia, most commonly vascular dementia, but also other types, such as dementia with Lewy bodies, frontotemporal dementia and normal pressure hydrocephalus. Note: there are more than 100 types of dementia. Those listed here are the most common. Can you die from Alzheimer's disease? The Alzheimer's Reading Room is the publisher of high quality expert information and news for the Alzheimer's and dementia community. We help Alzheimer’s patients to live a better life. We accomplish this by providing excellent advice and practical solutions to the problems that caregivers face each day. Our solutions work and have been tested over time by millions of caregivers. The Alzheimer's Reading Room is the publisher of the highest quality expert information currently available for the Alzheimer's those seeking information on: Alzheimer's care, dementia care, memory care, and for caregivers and dementia professionals. The Knowledge Base is easy to use and easy to search. It is ideal for caregivers, educators, and dementia care professionals.